I grew up in the Episcopal Church. That was when it looked like the conservative Anglican Church of England and not what the progressive Episcopal Church looks like today. Halfway between Luther’s and Calvin’s reformed Protestantism and Roman Catholicism, our “high church” liturgical service was in English but otherwise almost indistinguishable from a Roman Catholic service in Latin. All prayer was read by the priest from the prayer book with appropriate responses by the congregation. Prayer was a ritual and any prayer outside of the church walls was usually the recitation of a written prayer that had been memorized. I faithfully recited the Lord’s Prayer every night before falling asleep. Six decades later, I still do. I’ll never forget the first time I went to a non-liturgical, Pentecostal service and we gathered in prayer groups to pray for one another. I was terrified. 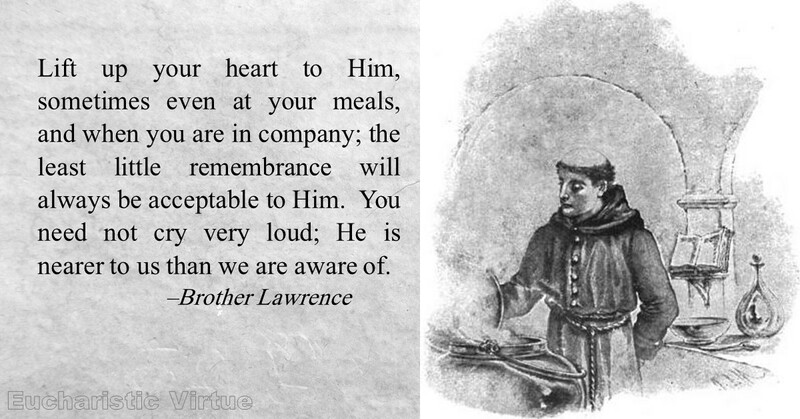 It wasn’t just the heart-pounding thought of praying out loud in front of others. 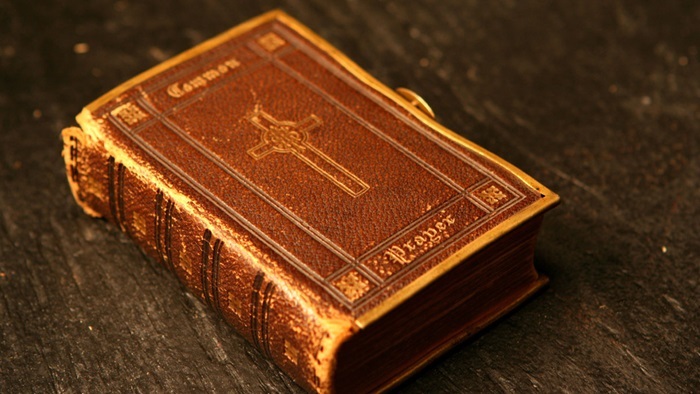 How in heaven’s name can a person pray without a prayer book to read from? I start and end everyday in prayer, but prayer is no longer limited to a specific time of my day. It’s become a lifestyle and, like Brother Lawrence, my own constant prayers– that little act of adoration throughout the day –have become the background music of my life. I’ll stop in the middle of what I’m doing and pray: Lord God, here I am, all devoted to Thee; make me according to the desires of Thy heart. German Lutheran pastor and theologian Dietrich Bonhoeffer believed that true prayer originates in the heart of God, is revealed in His Word and is inspired and empowered by the Holy Spirit. God also uses the prayers of the saints and “prayer warriors” who have gone before us to inspire us and enrich our prayer language. British novelist and theologian, C.S. Lewis was a devoted member of the Anglican Church of England and he treasured the church’s BOOK OF COMMON PRAYER. So do I. I also use THE DAILY OFFICE of the Anglican Franciscan Monks. The CELTIC DAILY PRAYER from the Northumbria Community in Ireland is a wealth of prayers. The GLENSTAL BOOK OF PRAYER from an Irish Benedictine monastery is written in the earthy Celtic tradition. I deeply appreciate the prayer books of the Eastern Orthodox Church which so beautifully reflect the majesty and mystery of the earliest liturgies in the ancient church. As we are inspired by hearing well-articulated prayers spoken by a person, we are inspired by reading well-written prayers from deep within our Christian history. If your tastes run to the contemporary and charismatic, you might like Sarah Young’s: JESUS CALLING - ENJOYING PEACE IN HIS PRESENCE. Some of us have been in churches that harshly denounced the use of written prayers as being ritualistic and shallow but we must remember that Jesus prayed extemporaneous prayers and He also prayed the prayers written by King David and others. Jesus and the earliest Christians read and sang from their “worship book,” that contains 150 prayers which cover every conceivable emotion and circumstance. When our own prayers fail. When the darkness closes in and we find it difficult to even find the words to pray, Jesus’ prayer book will always be our best resource. You already have one of those ancient prayer books of course. It’s located in the center of your Bible to make it easy to find and it’s called the BOOK OF PSALMS.